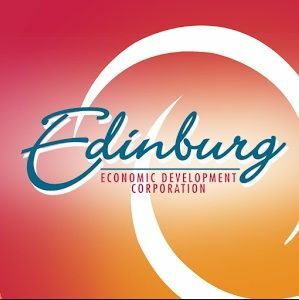 EDINBURG — City council members did not approve the proposed budget for the Edinburg Economic Development Corporation this week after two members on the council expressed concerns about some expenditures. The vote came Tuesday evening after council members got into a heated argument among themselves and the CEO of Santana Textiles, Roberto Cantu. Cantu was brought to the meeting by EEDC Director Gus Garcia for a planned presentation about the existing partnership between the two entities. The discussion, which at one point became a screaming match, revolved around a $15 million loan the EEDC gave the Edinburg-based company several years ago and whether the owners were keeping up with the payments. Cantu and Garcia indicated the company had fallen behind at one point, but was current as of Tuesday. And after an often technical 40-minute discussion, commissioners decided to move forward with the agenda. When it came time to discuss EEDC’s agenda, council members Richard Molina and David Torres had plenty of questions. Molina began with travel expenses. He said the council had allocated $50,000 for travel purposes for this year’s budget, but the EEDC had spent almost twice as much, or about $90,000. The events included a retail conference in Las Vegas, another conference in New York, and several other trips to Florida, Austin and Dallas to meet with business prospects. With that in mind, Garcia suggested a $75,000 allotment for the upcoming year’s travel expenses. Molina continued to ask Garcia about wireless carriers, contracted lobbyists, consultants, debt and sponsorships. Last year, council members approved an allocation of $157,500 for legislative budget coordinators for this fiscal year, but EEDC has already spent $278,000, Molina said. “Why is there a big discrepancy there?” he asked. Garcia explained the EEDC had hired a third firm, Signature Advocacy, to help with their political endeavors. He went on to indicate some of the costs are reimbursed by the city because both entities share the use of two firms: the locally owned Pathfinder Public Affairs and the Washington, D.C.-based Holland & Knight LLP. Torres also questioned the investment in a Monterrey office. Garcia indicated he would do so, and after a few more questions, the proposed budget came down to a vote. But because Garcia had budgeted $95,000 for the Valley Initiative for Development and Advancement, a nonprofit tied to Mayor Richard H. Garcia’s wife, the mayor had to abstain from the vote. His abstention left a split council because council member J.R. Betancourt had left the meeting a few minutes earlier, leaving the mayor and council member Homer Jasso Jr. in favor of approving the budget and Molina and Torres opposed. It’s unclear how much the budget totals after several key figures — such as total revenue and total expenditures — were left blank on documentation provided in the agenda packet.